David Love Property is a reputed service provider that offers various types of electrical services in the areas of Central Scotland. We specialise in security alarm systems installation in Edinburgh, Dalkeith, and Midlothian. Our team has many years of experience and knowledge in the field of installing the security and burglar alarms for both commercial and domestic buildings. We are dedicated to our work and client’s satisfaction is our main objective. If you are looking to install a security and burglar alarm in your premise, feel free to contact one of our on call electricians on 07413134394. Whenever it comes to installing an alarm system at a commercial premise or a domestic property, most people find David Love Property offers a good quote and service. We cover all areas like Edinburgh, Dalkeith, Midlothian. We are a family based business and never compromise the quality of services that we are offering. We do not have any hidden charges for our services, we offer competitive prices. Our installers are trained in choosing the right alarm system for your home or office. We have an emergency alarm service and are available 24 hours per day 7 days per week; this makes us distinct from others. We offer an emergency service to attend to your alarm problems / false alarms. We also work on alarm systems installed by other contractors. People want to stay protected when they are inside as well as outside the home. Security is very important when you are going out from the house. If your home or commercial building is not protected by a proper security system, there are chances that a burglar can get in. Thus, in such situations, it is very important to have an alarm to make you aware of the break in or about the entry of someone unknown. Installing an alarm system is an excellent idea to deter a burglar in both commercial and residential buildings. Taking help from the electricians of David Love Property can be of great help. We are ready to help you in the installation of an alarm system in both commercial and residential properties in areas like Edinburgh, Dalkeith and Midlothian. The presence of an alarm system can help in minimising damage to your property if someone breaks in and the alarm goes off. Our electricians can help you to protect your property and your family members. Our security alarm installation team has the ability to install security alarm systems so that you can become aware of the incidents taking place when you are not there through an internet or phone line connection. David Love Property has been in this field for many years and provides a professional service at a competitive price range. We specialize in installing various security and fire alarm systems in areas like Edinburgh, Broxburn and Fife. We can fault find on your existing alarm system and provide a fast repair solution. Our electricians can connect the burglar alarm to the telephone line so that your property remains totally secured. 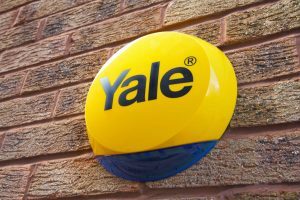 Regardless of the size and type of property, we have the ability to install a security alarm system to suit your needs. We offer a one hour emergency call out to support your burglar alarm system. We offer comprehensive security alarm installation services to our clients located in Edinburgh at an affordable rate. So, if you are looking for ways to install an alarm system, feel free to contact our on call electrician on 07413134394.